Welcome to Melanie’s Monthly News in August! This month has flown by again. We haven’t been on many trips this month due to work being uber busy. 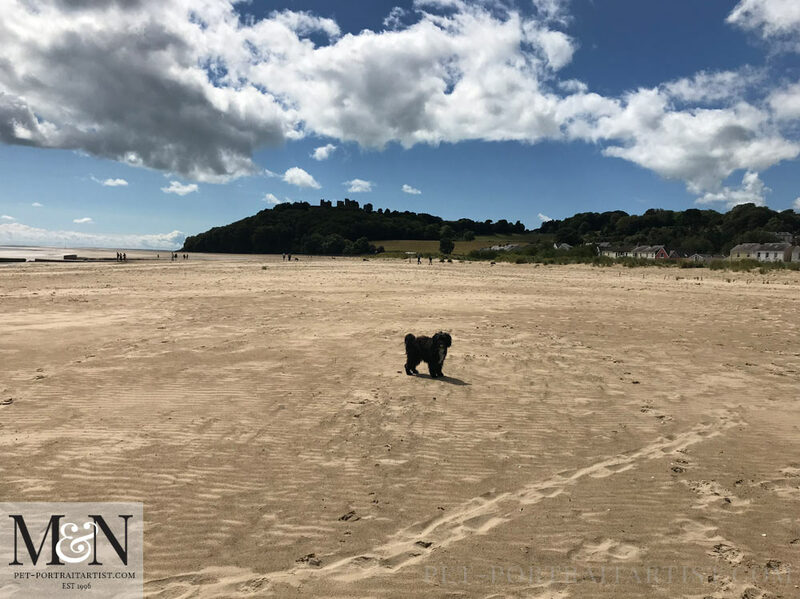 We did manage to get to the beautiful Llanfsteffan however to take Lily our Tibetan Terrier, for a walk on the beach. It was a treat for her as she had to have her annual boosters at the vets earlier that day. Lily absolutely hates the Kennel Cough vaccination which goes up her nose. It is so important for her to have it though as we certainly don’t want her to ever have Kennel Cough. She worries so much whilst she is in the treatment room and tries to do everything possible to get out of having it! Our vets are very good though and we found if they take Lily along the corridor behind the treatment room away from us it really helps. She always comes back to us tail wagging! So we told her that we would take her to the beach for a run and walk to the castle. She absolutely loves it. I took photos and I have to be completly honest, I have not photoshopped them in any way. This is how they came out on my iPhone. Amazing! The way it has picked up the sky and sand is incredible. You can see the castles turrets on the hill just above and behind Lily. As you can see the view from the castle, or the woodland just below it, is beautiful too. 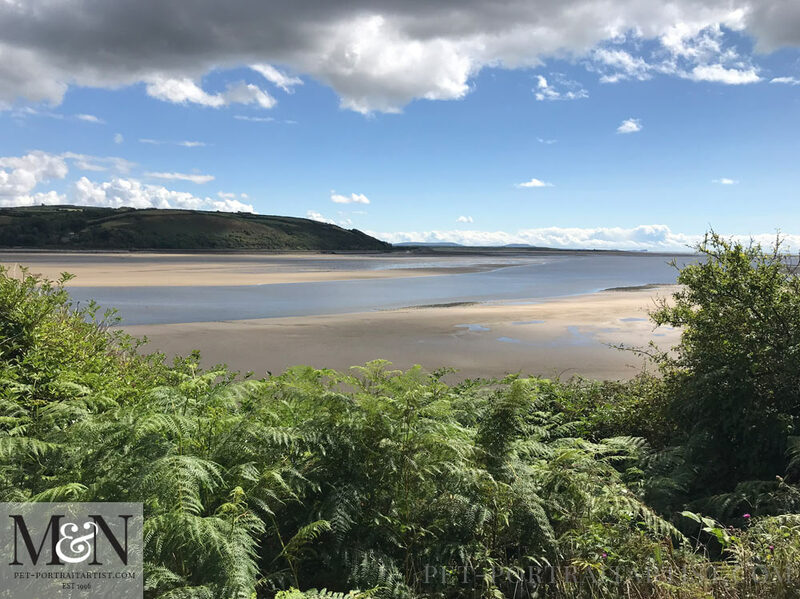 You can view for a number of miles along the estuary and down towards South West Wales. It was a fantastic day for taking photos and a really lovely day out too. Nicholas and myself have been in the studio a lot recently and Lily has taken it all in her stride. This is her ‘relaxed’ pose on her comfy beanbag. It was mine, would you believe, from when I was a child. I think it was a Christmas present aged 10. So not bad for a 35 year old bean bag! Disclaimer – it has been washed regularly and has had new beans over the years! 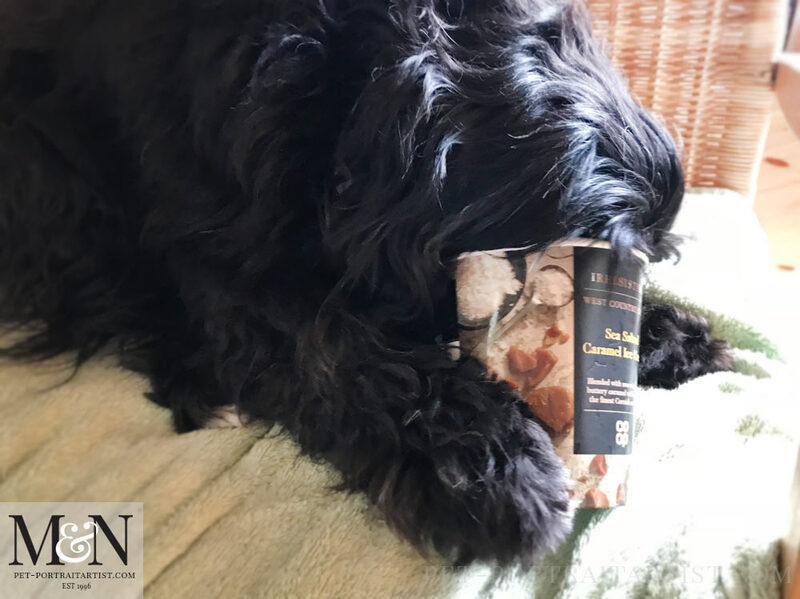 Lily loves it….as you can see! 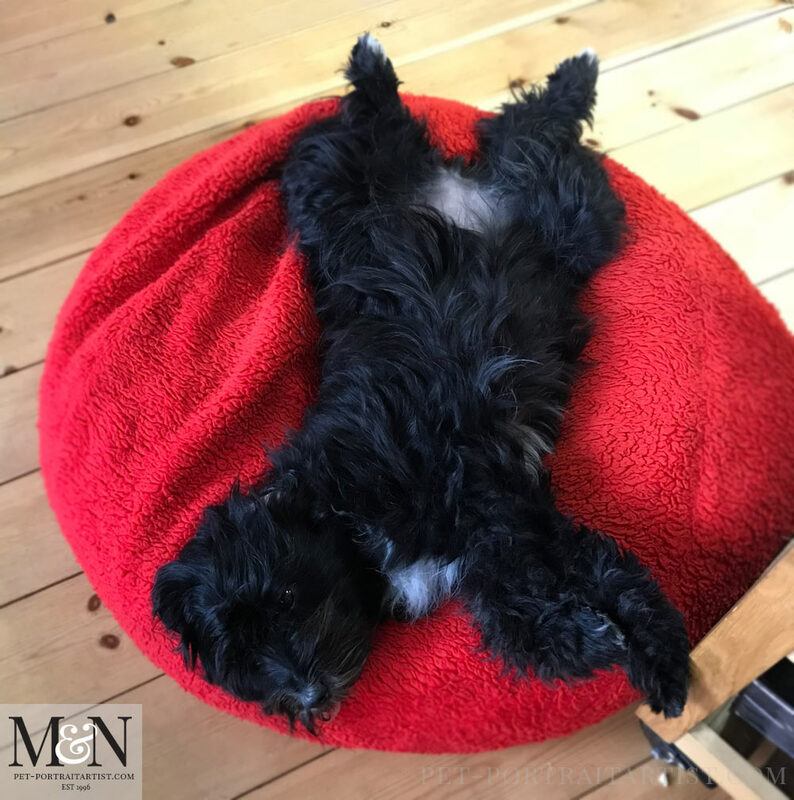 I always feel that bean bag style beds must be good for dogs joints, as no pressure is on any area of their body when they lay on them. She has a green cord one for the cottage too, although it needs some new beans soon. Have you ever tried to add beans into a beanbag? Believe me, many more end up sticking to your person – and your dog – than actually going in! I’m not sure how many of our readers are from the UK, however one of our favourite treats is the ‘Irresistible’ line of ice creams by the Co-op. Have you tried them? Absolutely not good for you but if you are going to eat something that not good for you, make sure that you really love it! This particular flavour Sea Salt Caramel ice-cream is my favourite. Lily also loves ice-cream. So much so that when we have finished the pot, she sits waiting, just like she does for yogurt pots, to lick it out. I took a photo for you to see how much of her head actually goes into the pot, so she can lick right to the bottom. And yes she does have to have a face wash after….!!! The garden is looking very autumnal at the moment. 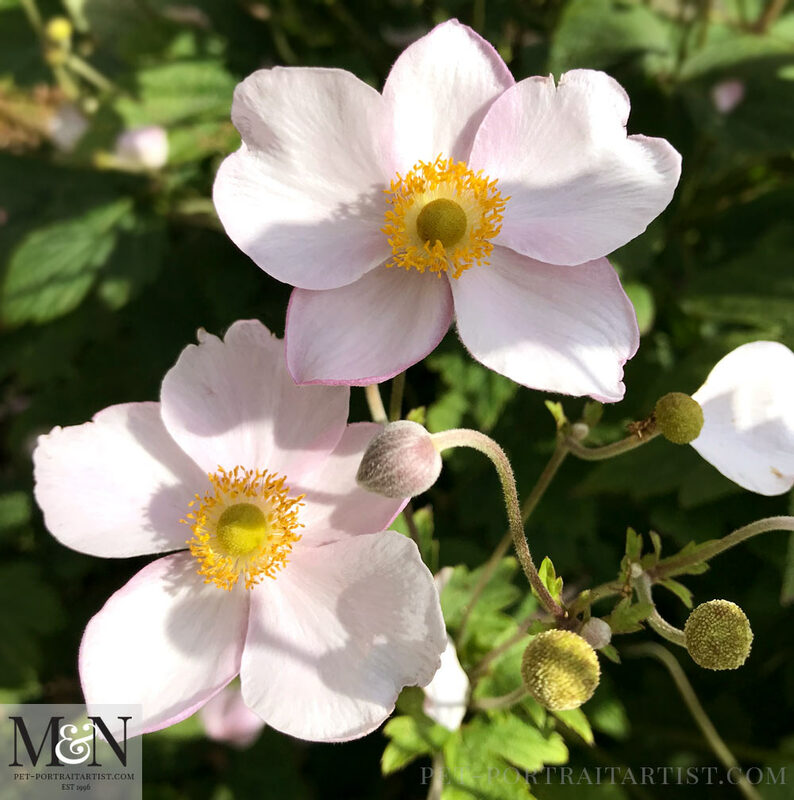 We do have lots of Japanese Anemone out thought which are very pretty. I have aded a photo of them below as they are such a delicate pink colour. 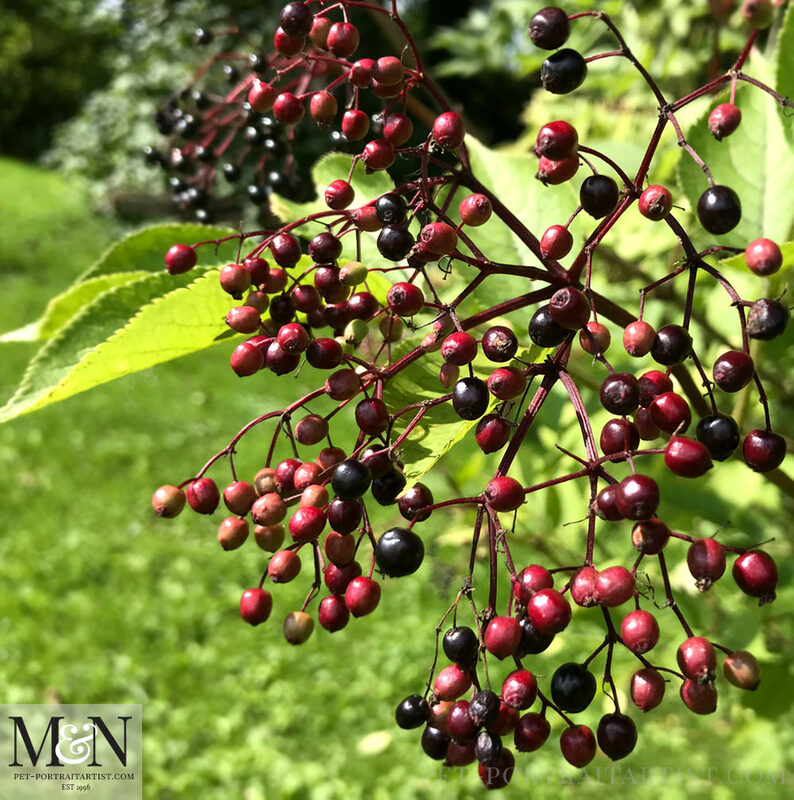 Our many Elderberry berry bushes are ripening well in the sunshine. The wood pigeons are trying desperately to balance in the bushes to get them. We love wood pigeons and their coos and are more than happy for them to have their fill. Finally the photo below shows how magnificent the Wild Roses are at the moment. 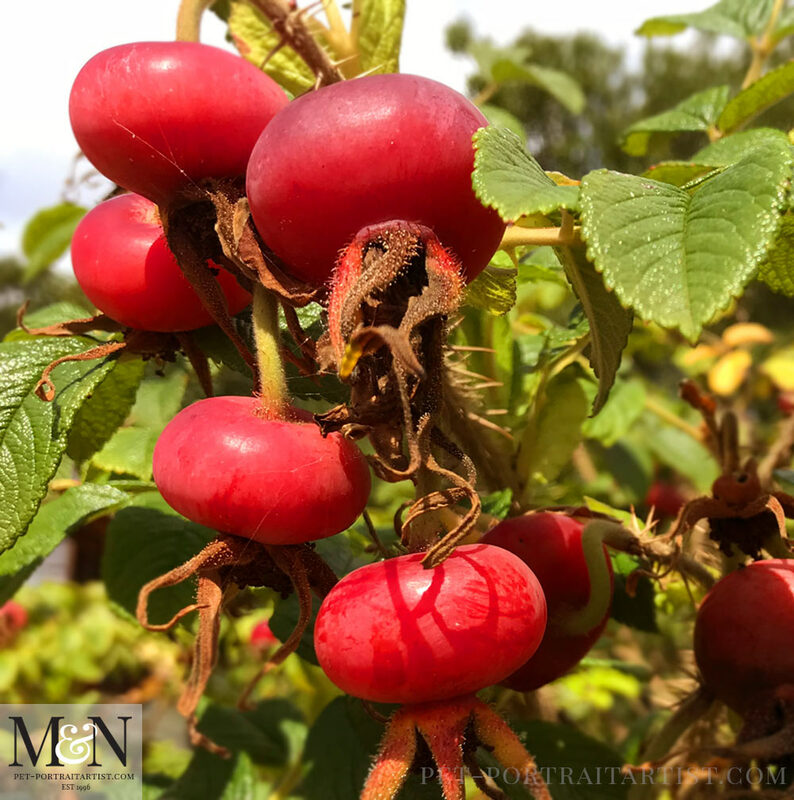 Another fruit which birds absolutely love. The Spring fills the garden with plenty of pink flowers, which then bear these large fruits in August and September. They are such a vibrant red colour and look beautiful in the sunshine. Well, thats all of the news from here. We have Nicholas’ parents coming to visit at the start of September so I will hopefully have some interesting places to post about in our next months news. Stay tuned!! !